Each school is allowed TEN total submissions for the cover art competition. The school may choose to accept unlimited entries but select the top ten for submission in the scholarship competition. Rules: Eligibility - You must be a current high school student in grades 9-12 to submit. All levels of artistic ability and experience may enter the contest and are encouraged to participate. Homeschoolers are also encouraged to participate by submitting entries two weeks prior to the deadline of March 1st. The top ten entries will then be selected and placed in the competition will other participating public schools. *** Deadline – All artwork must be submitted with a completed entry form by 5 p.m. March 1st, to jlschmidt@nphec.com (Home Schooled Feb. 15). -- Art must be submitted as at least a 300 DPI resolution color or black and white digital photograph. The piece can be sculpture, drawing, painting, textiles, pottery, photography, computer-generated images, etc. -- All submissions MUST be submitted in the form of a jpeg digital photo that MUST fit an 8.0” x 10.0” image size VERTICAL/PORTRAIT orientation. -- NO LANDSCAPE entries will be judged. Art which cannot be printed and framed as an 8'' x 10'' with all required wording showing will also not be judged. These entries will be included in the published book, but no awards will be considered. -- Original art pieces are NOT needed for judging or display. Please include your name and the title of the work in the filename of your work. Submit each individual item as a separate electronic file. You may attach more than one file to an email. -- All submissions must be the original work of the individual submitting and cannot be based upon, derived from, or include in any way, in whole or in part, the protected work of any third party or in any way infringe upon a third party's proprietary or other rights. Failure to comply with this provision will result in immediate disqualification from the contest. Judging and Number of Entries- Only one entry will be selected as the cover art for the current volume of A Short History of Northeastern Colorado (As Seen Through the Eyes of Our High School Scholars). Cover designs must be in color (black and white submissions will be accepted) and will be judged on creativity, originality, artistic quality, and the clarity with which the theme, if any, is conveyed. Be aware that all entries will be judged, but your submission may not be accepted for publication in the magazine. Concept, Theme, and Design Criteria – The theme of the cover art and publication is to encourage and generate interest in the local history of Northeast Colorado. 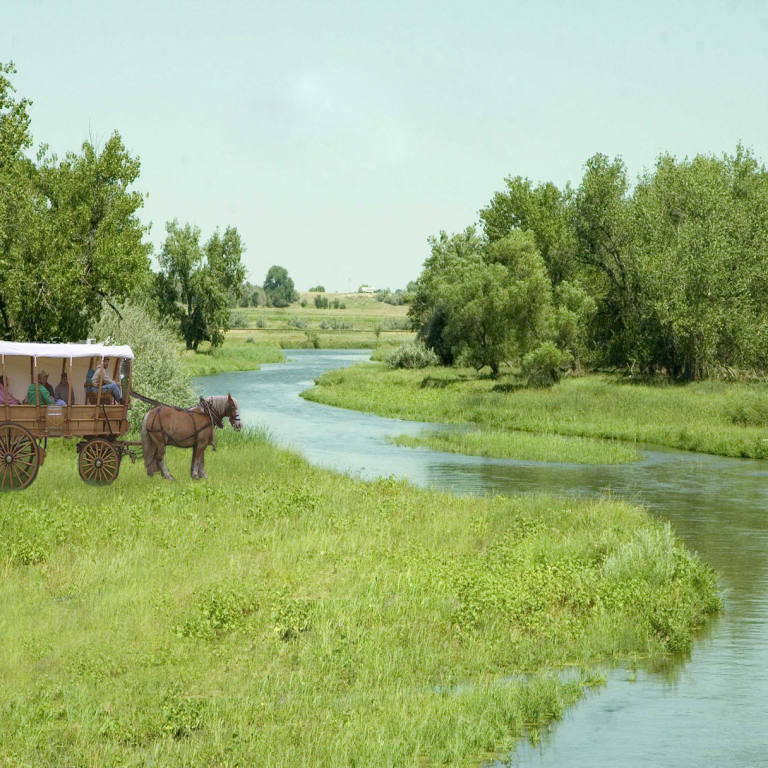 What people, places and things make up the unique character of Northeast Colorado and its rich history? The possibilities are endless. ***NO OTHER WORDING, Student/Teacher names, High School name, etc should be on the art piece. Fonts may be added digitally through use of raster image software such as Photoshop. Awards- The Cover Design winner will receive a $1,500.00 scholarship to the college of his or her choice, and the Second Place Art winner will receive a $500.00 scholarship. Each faculty sponsor of the winning art pieces will be awarded a grant for use in their classroom to use on field trips, or to purchase supplies and/or equipment. The winner and their faculty sponsor will also be invited to spend the day in Sterling in early May at which time you will have an opportunity to visit the Overland Trail Museum and attend an awards luncheon where all entries are recognized and top winners announced. Copyright & Reproduction - All works entered for the competition must be original. 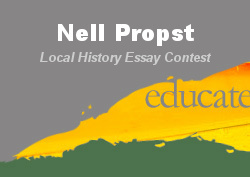 The Nell Propst Historical Essay Contest reserves the right to reproduce, without payment or royalty charges of any kind to the student, any entry submitted. The winning entry will also be subject to any adjustment needed during the process of publication.